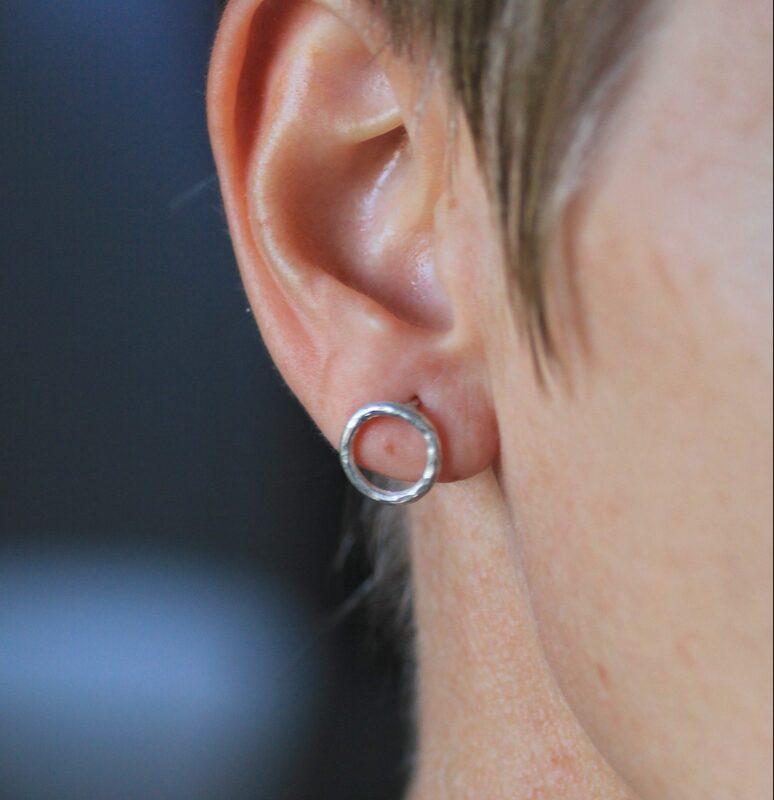 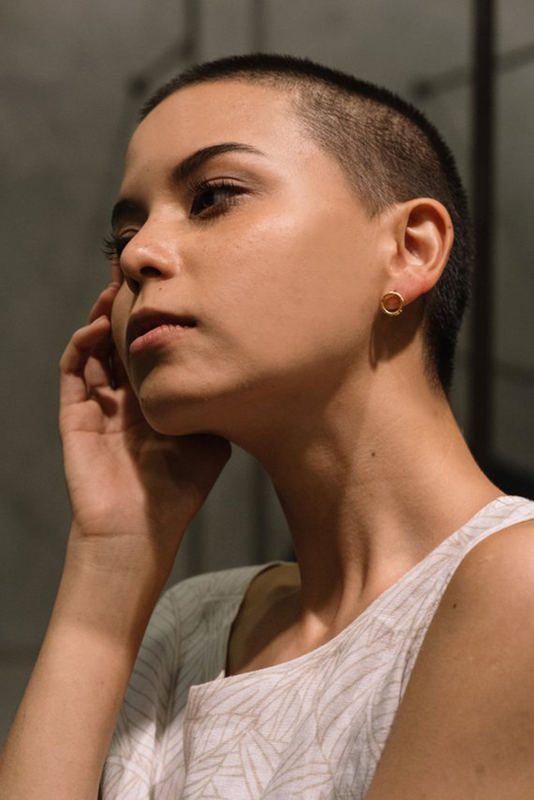 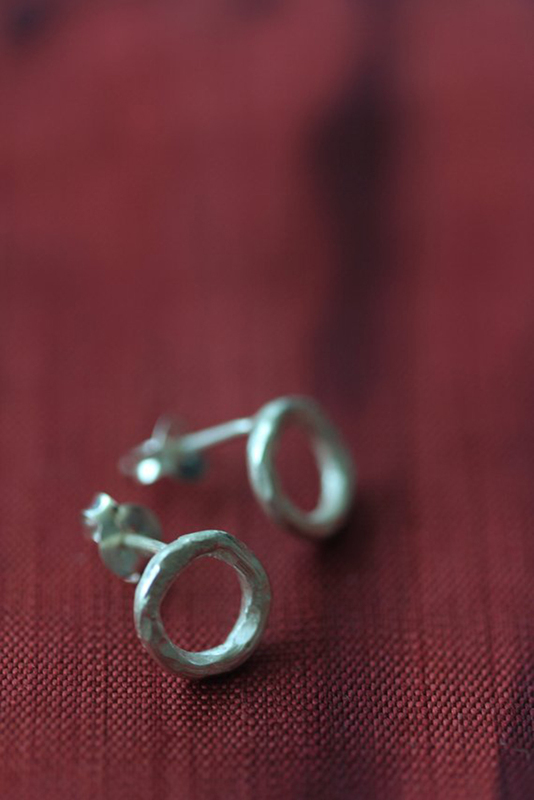 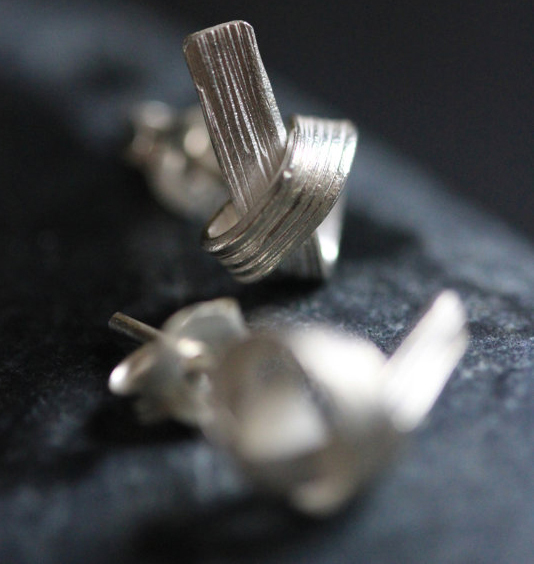 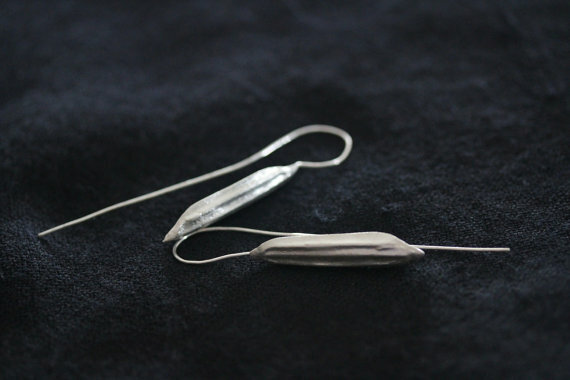 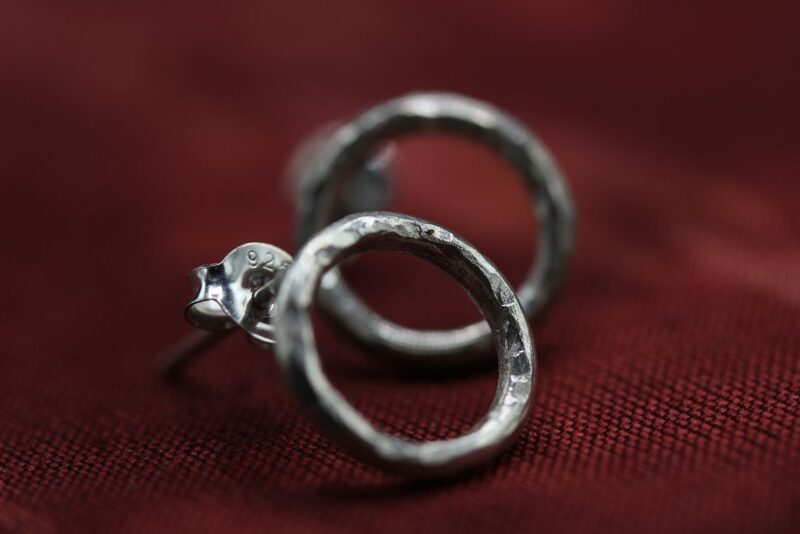 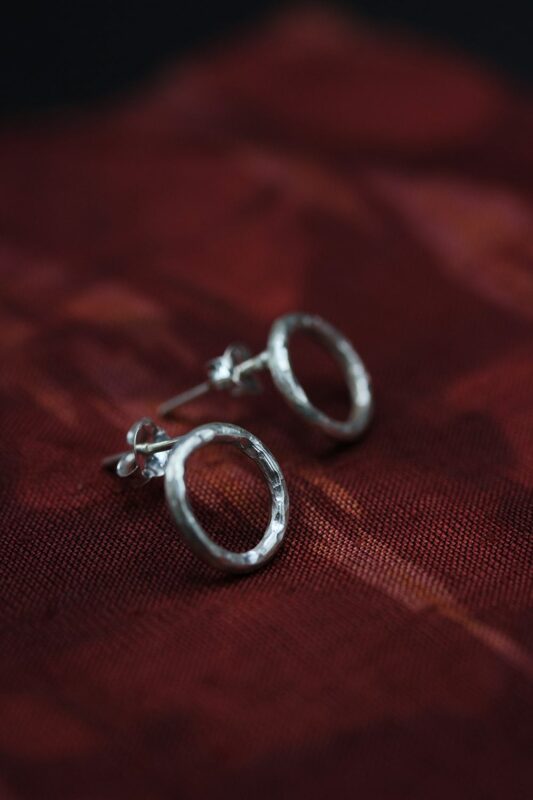 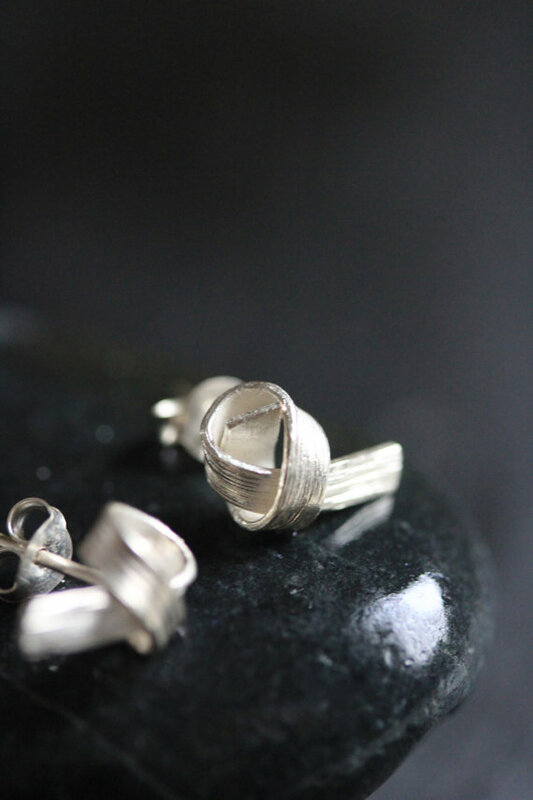 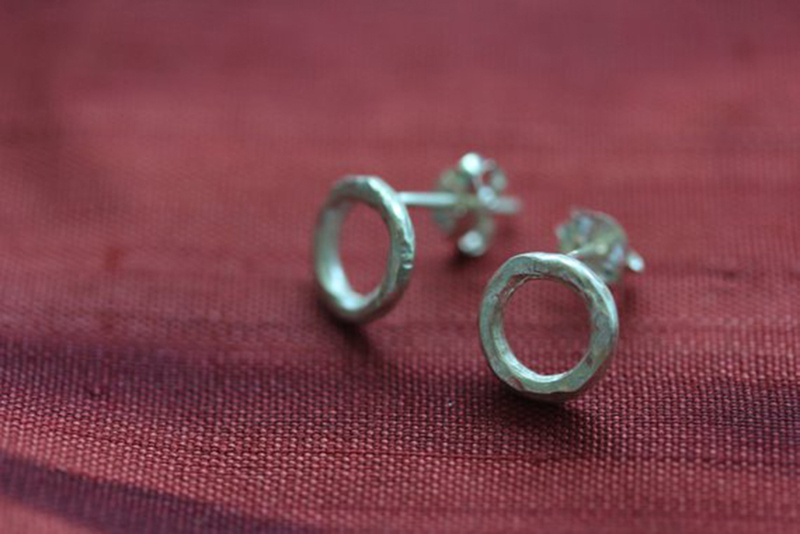 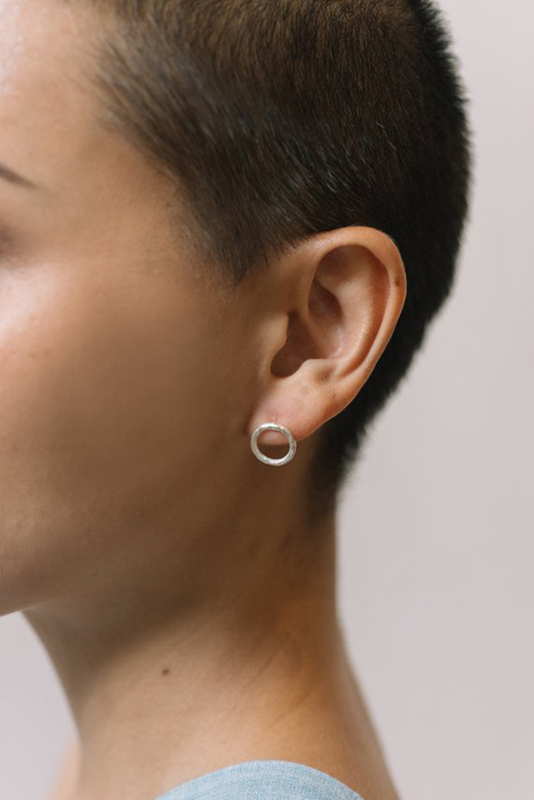 These simple studs were made from 2mm thick silver wire with round profile that was hammered on the surface before folding and soldering it into the final shape. 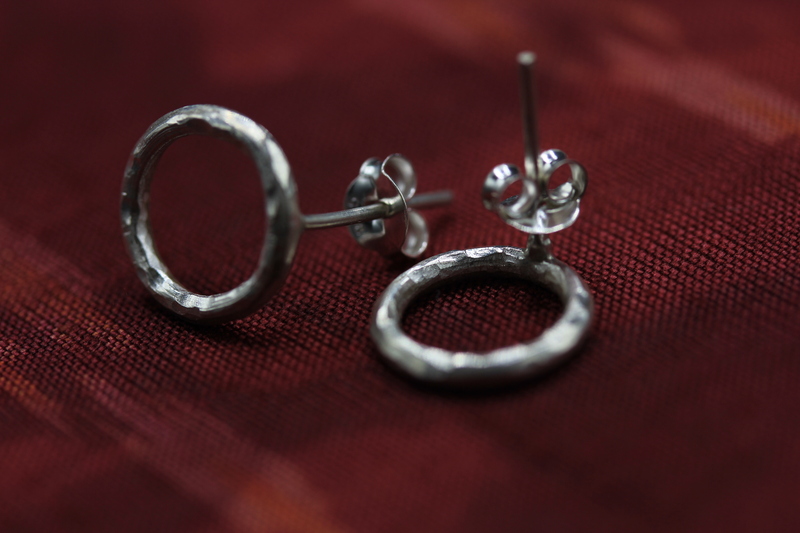 Gauge and butterfly push-backs are in sterling silver. 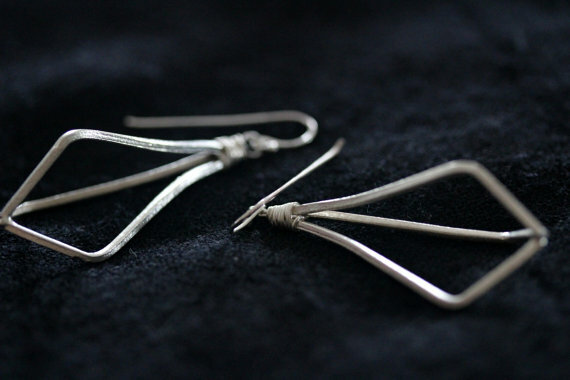 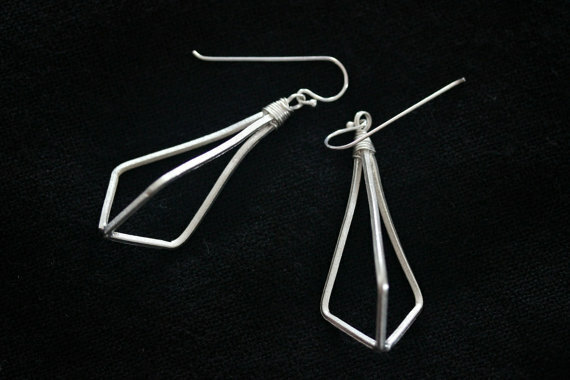 They are simple and stylish, easy to wear with anything. 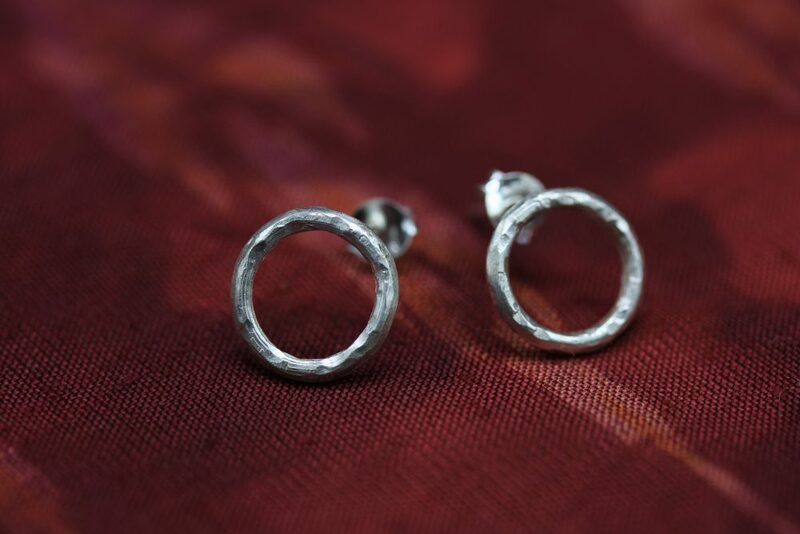 We made them in two sizes (15 and 10 mm in diameter). 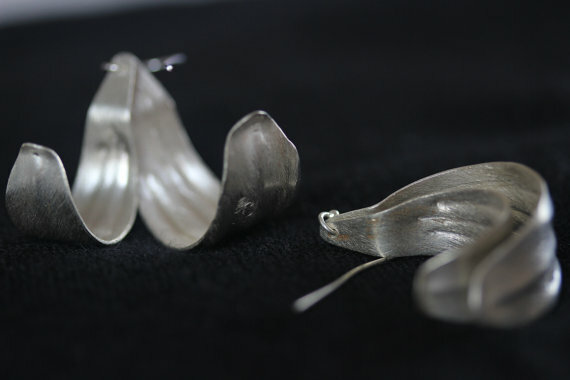 There are 3 colors available – natural silver, and 2 variations of coating: rose gold or yellow gold coating. 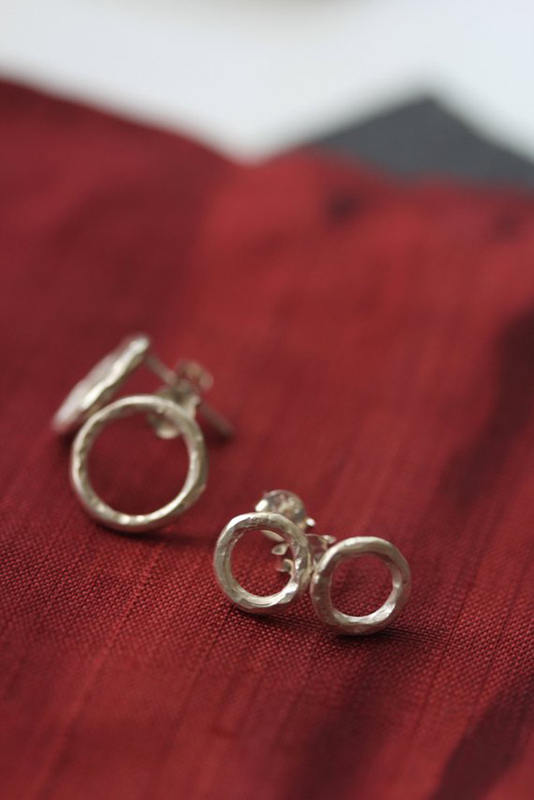 The product comes in a traditional Thai packaging and includes tracking number for safer shipping.